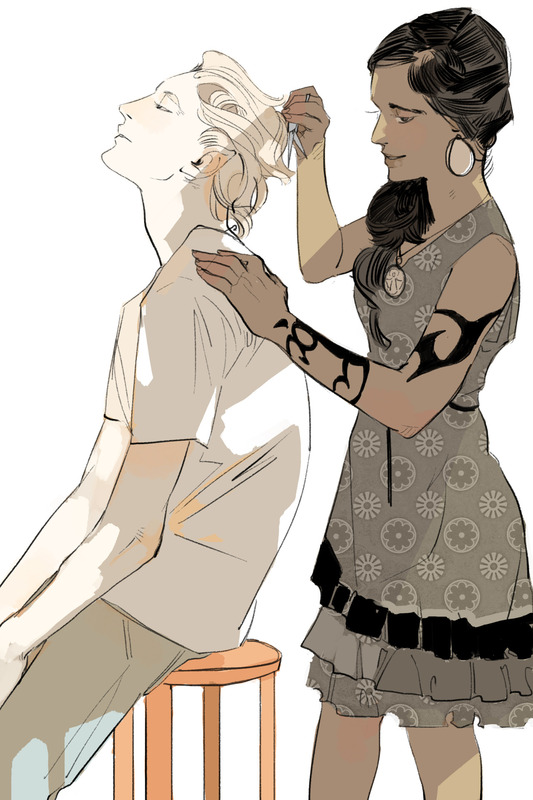 Eighth of Cassandra Jean’s Lady Midnight postcards — Cristina cuts Mark’s hair. These Blackthorn boys give me way too many feels! “What are you two talking about?” Tessa smiled up at them from the foot of the steps. How are you spending your last weekend before Lady Midnight is released on Tuesday? The feels! I can’t wait until the book comes out! I CAN’T BEAR THESE LAST FEW DAYS! ITS BREAKING ME! I have never wanted anything more than this book. Be Tuesday, already. OH MY GOSH!!! I can’t wait for the book! I’m dying here! Please come sooner March 8th! I’ve been re-reading the Mortal Instruments as well to make the wait easier (it’s not helping 😣), and to refresh my brain. 2 more days, Ross! I hope you’ll enjoy it!